If you've ever battled with acne, most likely you've used salicylic acid at some point or another. This ingredient can be found in all kinds of skin products, including cleansers, moisturizers, and masks, and now even in some foundations and other makeup products. This beta hydroxy acid has a reputation for helping to diminish the appearance of acne. Though generally considered safe, some people may have skin sensitivity to it, and if they use it regularly, may end up with skin that is dry, red, and peeling. Salicylic acid may help with acne temporarily, but over the long term can dry and thin your skin. Salicylic acid is a type of beta hydroxy acid found in the bark of the willow tree. It is derived naturally from the metabolism of salicin, which is an anti-inflammatory agent produced from willow bark. In the plant itself, it acts as a hormone, participating in growth and development, photosynthesis, and plant defenses. Salicylic acid, in its natural form, can also be found in blackberries, blueberries, dates, raisins, kiwis, apricots, green peppers, olives, tomatoes, mushrooms, radishes, and chicory, as well as in almonds and peanuts. For commercial use, however, salicylic acid is typically prepared by treating sodium phenolate (sodium salt of phenol) with carbon dioxide at high pressure and temperature. It is then treated with sulfuric acid to create salicylic acid. Salicylic acid helps kill the bacteria that create acne, and also helps encourage exfoliation, which opens up clogged pores and kills the bacteria inside. It can also constrict the pore diameter, helping to reduce the risk of future clogging. To continue to see results, however, you must continue to use salicylic acid on a regular basis. This is not a cure for acne, but rather a tool to use in the daily battle. The main concern with this ingredient is that it is drying and somewhat irritating, especially for sensitive skin types. Since many people with acne have reactive or sensitive skin, the use of salicylic acid may provide temporary relief, but then may backfire in the long run. As skin becomes dryer, it may react by producing more oil, which then will create acne once again, requiring the use of more salicylic acid, which then creates more dryness, setting you up for a vicious cycle that only causes the condition of your skin to deteriorate. Another problem in today's world is that manufacturers are adding this ingredient to more and more products. That means that you may be exposed to it in your cleanser, moisturizer, body wash, primer, foundation, and more. This many applications can definitely cause your skin to say enough is enough, and flare up with redness, swelling, irritation, and more acne. 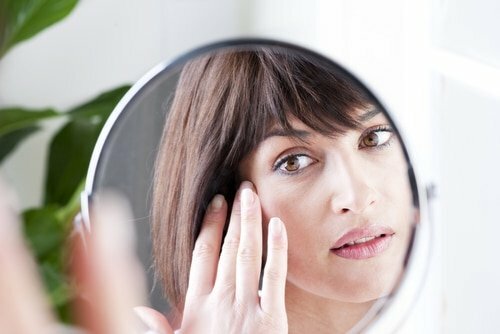 Skin can also become thinner, which can highlight capillaries, fine lines, and wrinkles. Those with dark skin may also be especially affected by this ingredient. The action of salicylic acid can cause discoloration, which can remain on your skin for an extended period of time. The FDA recommends continued use of sunscreen when using products containing this chemical. Other concerns with salicylic acid are related to higher concentrations, which may be used in chemical peels. These may include up to 30 percent of the ingredient, which can increase the risk of other side effects such as dizziness, headaches, fatigue, and nausea. The Mayo Clinic recommends that the ingredient not be used on children younger than 2 years of age, and that older children are more susceptible to skin irritation and other side effects, as salicylic acid readily penetrates skin. Children have lower body weights, which means that even a small amount of the ingredient can affect them more than it would adults. If you're using products that contain salicylic acid, be sure you're protecting your skin with sunscreen. My preference would be to avoid it, and use natural, nourishing ingredients that are good for your skin! Have you used salicylic acid? Have you noticed your skin becoming dryer and thinner? Please share your experience. I wanted to get rid of the dark spots and unify my skin color. I went to the parapharmacy and told the lady what I want. She suggested that I use Onagrine white perfection day/night cream and she gave me a cleansing gel called HTDERM white gelée. On the bottles it’s written Salicylic acid. I think as a main ingredient. Well today is my 3rd day using this set of products together. Every morning I clean with HTDERM product then use the Onagrine day cream. And at night I clean acid with HTDERM then use the Onagrine night cream. Well the 2nd day of usage which is yesterday my skin started to burn and I got very very tiny white bump like (milia) on my for head, let’s say now it’s all over my face. I also got some tiny very dry spots on my cheeks and a light burning and tingling sensation and kinda itchy. After reading this article and the comments I checked the ingredients of the products I’m using and found out that each one of them contains salicylic acid. Now I will just stop using them all. I hope the milia spots will disappear and my skin gets back to normal. My skin is normal or complex. But most of the time it’s dry. Please what should I do if my skin doesn’t heal itself. I use the neutrogena with salicylic acid and my face is very dark now,dry and peeling.I hate it.I thought it is good for the whiteheads but I was wrong.Better use cetaphil for washing face. The same thing happened to me so please tell me what did u do to make it disappeared . Salicylic acid works at very low pH of 2,0-4,0. On higher pH levels its activity decreases. Typical face cleansers are very alkaline, so this active ingredient won’t really work at all. Another thing to mention is that you need to leave salicylic acid on skin and not rinse in order for it to work. In my personal experience (clogged pores) very mild low pH cleansers (around level of 5, the natural acidness of skin), followed by toners with salicylic acid and then toners with alpha hydroxy acids provided exfoliation deep in my clogged pores. Salicylic acid is oil-soluble, so I avoided putting oil-containing products on top of it, to avoid my skin from drying out I used sleeping packs (masks) with aloe extract, panthenol, allatonin which are great for soothing and hyaluronic acid (not great if you live in dry climate). This routine was done nightly, in daytime in addition to regular products I used broad spectrum sunscreen (means it protects from both UVA and UVB rays). I have gone through mild purging and have experienced some dryness (mentioned earlier), but overall my skin is nicer than it was before. I’m really nervous because I was told by my doctor to use salicylic acid(wart remover) on my wart and it turned the skin surrounding the wart a very pale white!!! Any suggestions?? Everything in this article is accurate. I should have looked at it before I used it on my skin. I had to fine lines forming around my mouth and a dark line under my lower lip. I knew it was wrong but I was tired of people rubbing around their lips everytime they saw mines. So I scrubbed rubbing alcohol and astringent on it to get rid of the darkness. Now it’s 10x worse! this time it’s darker, dryer, flakier, just more disturbing than before. I learned my lesson. Please help!!! ???? How do I get my tone back ? And hydrate my skin? Instead of drying out the skin, I’d use a rose oil or vitamin e oil at night to help heal it. The skin will turn over and in a few weeks you’ll see it lighten up and soften again. I was forum are not to have acne, however I saw a lot of people raving about acid toners and though that it would make my skin smoother. After using it once my skin became rough, the kind of rough that is so dry that it’s sore and very flakey. I have been trying to get my skin back to normal for a week now and I’m still suffering with my face peeling! It’s so embarrassing and I wish I had never used it! I really enjoyed reading this article. I am an Esthetician who suffers with highly sensitive skin – which is why I moved into this industry. Recently, I came across a few brands that were labeled for sensitive skin yet contained salicylic acid in their cleansers and toners – It amazes me that the education just isn’t out there for many individuals trusting certain brands or ingredients. While in school, I suffered a severe reaction to a salicylic treatment. We did a spot treatment for 2 minutes and my skin was swollen, inflamed, stinging. After that, my skin peeled for 2 weeks with constant redness in that region. Though it may be a great product for some – definitely not for me! Thank you for writing such an informative piece on the good, the bad and the ugly. I use the salicylic acid on my face over a period of time and now I have a dark mask on my face I’ve had for over 3 years and I seem to not be able to get rid of it. My skin heals with a dark pigmentation so I guess this was the way my face protected itself from these Salicylic acid. I wish I could find a natural way to get my skin tone back to one color I am now afraid to put anything on my face. Very true using salicylic acid definitely dries the skin and makes the skin thinner.I would not recommend this product to anyone .Its better to use natural remedies than the harsh chemicals which thins the skin. It’s my strong belief that acne is mostly diet related no matter what dermatologists say. They aren’t going to want to admit that instead of spending tons of money at their practice you can cut certain things out of your diet and eat more fruits and vegetables and drink more water to have BEAUTIFUL skin. I cut out grains and dairy and my skin went from having cystic acne to not having even one sign of another break out and also my dark circles cleared up!!! Best thing I ever did but I do admit it was difficult. Paula’s Choice salicylic acid also did wonders for my skin when I had acne and I also sometimes use a glycolic acid face wash but these stories are scaring me. 🙁 Most natural products I tried did not help in the least and sometimes made my skin worse, except for a natural green tea face mask I use and josie marren argan oil. Love that stuff! It has worked great in my skin and I have rosacea, I use Paulas Choice and love it. Face oil does not cause acne. The root cause is the bacteria that get stuck to the oil somehow. Therefore, the best prevention for acne is to keep your face as clean as possible and never touch your face with your fingers before they are washed clean. Bacteria only thrive on moist envirnoment. When my face itches, I have learned to scratch it with a kleenex. This way I have reduced my acne outbreaks significantly. Also, if you don’t clean your pillow case often, it is the place where your face and germs meet intimately for a long period of time. You’re right! Clogged pores are very complex and it’s a little bit different for everyone, but bacteria are a major cause of inflammation for a lot of people! I just purchased a moisturizing product with 0.5% of Salicylic acid in 118ml bottle. I don’t really have any acne problem. but I thought the percentage is too low to affect my face skin and I can use only this bottle and change it. so do you think this is a bad thought and i better not use it at all? .5% Salicylic Acid can definitely effect the skin. If you’re experiencing dryness or any irritation, the salicylic acid in your moisturizer could play a role in that. If you like the moisturizer you’re using, use it! Salicylic acid is the ONLY thing that works for people with sensitive skin. After years of my terrible acne, the Citrus Clear Grapefruit Treatment (with Salicyclic Acid) has helped remove my embarrassing red spots! I cleaned my face as usual and then proceeded to apply the treatment. My eyes did water a little when applying this to the spots on top of my cheeks due to the strong smell. It absorbed very quickly which was good and did relieve the soreness slightly. The next morning, The spots had shrunk dramatically in size and were very easy to cover up. I continued to apply this the next night and the following morning it was as if the spots had never been there. I have never used Citrus Clear before, but I am so happy it worked this fast! I had sensitive skin, so I decided to buy a nutrogena grapefruit with the acid because I was completely oblivious to it. So I try it out and I’m super pissed off. I now have semi dry skin all over my face. Now I’m confused on which acne wash I should buy next. Do I have to buy a sensitive or a dry one now. Please help. It certainly sounds like your skin needs some healing love! If you’re experiencing clogged pores, the Citrus Mint Cleanser could be really helpful for you! It also sounds like you’re needing a good moisturizer for sensitive skin so I would suggest working with the Herbal Facial Oil for Normal/Combination Skin while you’re working to help your skin. I have been using organic willow bark extract on my skin for over 2 years now. I mix it with other organic solutions rosemary extract vitamin e nd others I have had no ill effects my skin is not dry and thin. I have seen a reduction in wrinkles and some dark spots on my face have become lighter. I will continue to use this and recommended for other’s. A good skin regiment is the best of ay to keep healthy skin. People with dry or normal skin should never ever use salicylic acid in any form.. I never had whiteheads nd pimples on my cheek area.nd now they are everywhere… i breakout occasionally……… with only 1 or 2 zit at a time..but salicylic acid(only used for 2 weeks approx) make my skin dry nd it starts to peel……horrible experience… i personally never recommend it to dry skin people.. tehe…! If you’re using salicylic acid more than 20 % concentration, your skin definitely will peel. This is chemical peel after all. Had a horrible skin reaction from a product with this. I almost appear to have chemical burn, peeling, discoloration to pigment on large part of face. Will it get better? Advice? Am on a steroid and meds for the pain, inflammation, and redness. I’m only fourteen, so bare with my stupidity. I used Neutrogena’s “Oil free acne wash” for my face, and, foolishly, thought that the longer you had it on, the better. So for like, two or three days, I would put the cleanser all over my face at night, and then wake up and wash it off in the morning. At first, my face was normal and it was looking a little better, which was why I continued doing it for the next few days. But then I started to notice that my face was dry. Like, REALLY dry. Around my nose and around my mouth was extremely dry, and my face was tight, peeling, and flaky. It was terrible. My sister told me to drink more water to hydrate my skin, and my other sister told me not to do anything an to jut let it heal on its own. Who is the right one here, and if neither is right, what should I do? 🙁 Please help. i’ve been battling with the problem of a very thick dark patches that looks like an acne on my cheeks for the past 5 months now and i’m light in complexion,ryt nw i dnt even know wat to use again,i’ve tried many things like cleansers,lightening creams,facial creams all to no avail,all these would even worsen it sometimes by turning it to red and later change to black colour.i’m fed up,i feel lyk commiting suicide ryt nw,can somebody help me. I’ve never had a problem with acne but as I’m approaching 60, I decided to try salicylic acid to reduce the fine lines and wrinkles. I purchased 35% on Ebay and it came with the instruction to apply, let sit for 10 minutes, then wash off with cold water. I did this and 2 days later I spent about 30 minutes in the sun. The next morning my face had 2nd degree burns all over. It is still peeling and dry today (a week later) and I have a few spots that are discolored. I also have a lot of burnt, dead skin that hasn’t ‘dried out’ enough to start peeling yet. I can not believe that I have been so disfigured by a product because it came with such incomplete usage instructions. I don’t know what the final product will be but I’m dumping the rest of this acid down the drain. Accutane got rid of my acne, and I have only had one pimple in 30 years, since using it. I tried everything over the counter acne products, better eating, more water, tetracycline, I was so fed up, nothing worked. I happened to flip through a magazine and seen the advertisement. I took the advertisement to my dermatologist, and was on it for 8 months. I had really dry skin, but the moisturizer I got worked okay. To this day, I’ve never had acne again, and it was pretty darn bad. I had it all through highschool, and two years of college. I’ll never regret it. I only landed here, looking for a diy lactic acid serum. Good luck to all. Uh oh!!l. I jus bought Clean & Clear but will only use it once a week now that you said. Thx! I’m 17 years old and have never had acne until now. 3 months ago I started using make-up with salicylic acid daily and started getting red, flaky, dry patches on my cheeks. It soon turned into small bumps so I started scrubbing extra long and hard with my Clarisonic brush. I kept covering the burn and discoloration with the SA make-up. I stopped the use of it after 2 months, and I started picking at my face and it gradually got worse. It has been a complete shock to everyone because 3 months ago my skin was completely clear! Now it is thin, sensitive and painful. Not knowing my acne was a reaction to the acid, and I needed to moisturize instead of drying my skin, the doctor glanced at my face and prescribed Differin cream. That has made it WAY WORSE! My skin looks raw, bloody and nasty. It also made me itch and hurt so bad. I hadn’t realized I shouldn’t use such a powerful medicine because I just figured out that the Salicylic Acid infused make-up is to blame for all of this. Now I don’t know where to turn or what to put on my cheeks full of acne!??? I am a senior in high school and this is just another obstacle..it hurts and I am embarrassed to show my face….CAN ANYONE HELP ME PLEASE?? I’m sorry about your skin, I know how painful this can be!! It sounds like your skin needs some help healing itself. For this, I recommend aloe vera. Find something with pure aloe vera, avoid products that list water as the first ingredient, as they are not potent enough. Both of our cleansers use aloe vera juice as the first ingredient. While your skin is inflamed, I’d recommend using the Aloe Herb Cleanser, which is very gentle and moisturizing. Once your skin has healed, you might want to use the Citrus Mint Cleanser, which helps ward off break outs. They are both totally natural! You can also use the gel of an aloe plant directly on you skin if you have access to one! Don’t scrub your skin too hard when you have break outs, because it will further irritate it. I know it’s hard, but besides washing and moisturizing, you don’t want to fuss with your skin too much. Another product of ours that I think would really help you is our Anti-Aging Serum. It has aloe and rose distillate, which are very calming to the skin. It really feels soothing to put on and can help calm break outs. Try to avoid inflammatory foods like dairy and sugar if you can, eat lots of veggies, and drink lots of water!! I’ve had semi severe acne for a while now, I tried a bunch of different things, one of them was clean and clear Salicylic acid based lotion and the next day my skin was so flaky and dry mostly around my nose, keep in mind it’s also cold. I than started tea tree oil from the body shop which I recommend highly if your skin type is confusing, like dry and oily. It’s natural no harsh chemicals. I’m not sure wether or not to stop using the Salicylic acid based lotion, just because it is strong and effective. I don’t use this term lightly, but I truly consider Salicylic acid my miracle cream. I’m currently age 50, but I started using Paula’s choice 1% beta cream 10 years ago and over time moved up to the 2%. I also use the 2% lotion she sells for ,y entire body. Nothing has transformed my skin as these products have. I was still living with continuous breakouts and u even skin tone and for the past ten years my skin has been clear and smooth and I rarely need foundation anymore! I am blond, blue eyed with very pale skin which has always been thin. Salicylic didn’t thin it further, it actually thickened it. It does thin out the outer layer of skin (as do retinoids), but encourages the deeper layers to thicken, so ultimately it does not thin out the skin. I wear sunblock every day year round and I never abuse SA. I do have stubborn blackheads on my nose so I use a ten% salicylic acid twice a week on there only and it does wonders. Some people over use this product or don’t religiously use sunblock, and some may be allergic, but to many of us, it’s changed our skin for the better. My iPad won’t allow me to scroll up so I apologize in advance for the typos I probably have. I don’t do well on this device! I have been an acne sufferer for 20 years and have been on many courses of antibiotics to keep it under control. It started at 20 and I’m now 43. In the last 18 months I have started having SkinCeuticals gel peels every month. This peel’s active ingredient is salycylic acid. I also use a product called Epionce Lytic TX on top of the Skin Ceuticals Phloritin CF. Epionce’s active ingredient is salycylic acid. I have been antibiotic free for 15 months and my skin looks amazing: virtually blemish free, smooth and bright. Salycylic acid is not the problem, you just need to find a high quality product without too many other nasty ingredients. Irresponsible journalism claiming Salicylic acid dries and thins skin without explaining that if used properly, in lower concentrations, with the correct PH, and without other ingredients included that may be causing the problems. I’ve been using 2% SA every other night for 8 years and my fair skin that was once thin, frail, acne prone and sun damaged at 42 year is thicker, firmer, softer, and acne free now at 50. Has been since a few months after starting it. It’s anti inflammatory, further benefitting the skin from other irritants it comes into contact with, including sunblocks, makeup, shampoo, etc. Two years ago I started using it body wide. What a difference and my once rough heels are soft as a baby’s now. Penny, would you be so kind as to share what products you use (names) and the regime? I guess it depends on a person’s skin. I used salicylic acid for 5 years (starting at 28, I’m now 33) and for the first 4 years it did wonders: my oily skin was glowing and free of acne and no longer all shiny at the middle of the day. I loved it so much that I just started to abuse it….then, last year, I got dark spots on my face, and instead of checking with my doctor I stupidly bumped up my use of Salicylic products thinking that that would fix it when in reality I was only making things worse. Last week I finally checked with my dermatologist when I realized my super oily skin was now dry and flaky, not to mention getting all kinds of dark spots. She immediately ordered me to stop it my salicylic love affair. I’m now using products for dry-sun damaged skin. I use salicylic acid and I’ve noticed a dark mask like on my face. It also happened when used proactive. I also use witch hazel as an astringent. It also has many benefits to the skin. But research shows that salicylic acid is an anti-inflammitory product similar to aspirin and that it actually boosts skin cell renewal, making it thicker as new healthy skin grows. If you’re skin is dry or irtitated by salicylic acid then you are either: allergic or too sensitive for it, using a product with stripping alcohols, using a product with fragrance or essential oils, or using too much salicylic acid. Salicylic acid has to be formulated correctly at the right pH and is effective as an exfoliant at concentrations between 0.5 to 2%. It should not be used at a concentration of more than 2% on the face and you should wear sunscreen during the day. First timers or those with sensitive skin may want to start on a product with 0.5 to 1% salicylic acid. Also gentle, harsh alcohol-free and fragrance/essential oil-free products should be used when it comes to cleansers and moisturisers. Look for products with anti-irritants and that may also help. I am really sorry to be a naysayer here, but it is not salicylic acid that is the main problem. It is that many products containing it have harmful additives, the concentration is too high, and people are misusing it! I am astonished to read one review that admits to using an exfoliating product with salicylic acid on a first-time use, which should not be done unless in very severe cases of acne, that is, noninflammatory comedones (whiteheads and blackheads that occur when the follicle is clogged). Sadly, Inflammatory lesion acne such as nodules and cysts, which occur when the follicles are infected require, as Amy above said, the use of antibiotics. Fortunately, the correct use of salicylic acid can prevent future inflammatory lesion acne. As to those reviews that say that products are drying their skin, Neutrogena All-in-1 Acne Control Facial Treatment (not the scrub, but the cream) actually nourishes and hydrates the skin. However, there are many all-natural products that contain willow bark extract (salicylic acid) that, used in moderation, can improve any overly oily skin. They are made by [re]fresh, Alba, Burt’s Bees, and others. The reason salicylic acid is so effective (and so harsh when used incorrectly) is because it is the only known beta hydroxy acid and, unlike alpha hydroxy acids (found in citrus fruits, for example), it is not water soluble, but oil soluble, i.e. salicylic acid truly penetrates the oil-clogged follicles and breaks down excess sebum, keratin (dead skin cells), and bacteria. Moreover, there is literally no evidence that it thins the skin. It certainly does not thin the skin any more than products containing grapefruit and other alpha hydroxy acids, which Annmarie Gianni products contain. In fact, high concentrations of alpha hydroxy acids are known to break down the top layer of skin, which is why they work wonderfully as peels (again, when used correctly). Also, manufacturers are not required to list the concentration of products containing alpha hydroxy acids, which should be no higher than 8% and at a pH of 3-4. Otherwise, there is a risk of damaging the first and possibly the second layer of skin, even if the source of the alpha hydroxy acid is 100% natural. Those products, too, can be very beneficial but must be used in moderation and not in conjunction with exfoliating products. I’m not trolling. I love Annemarie Gianni products and recommend them to anyone! I notice that oil is in many of the AG products containing alpha hydroxy acids and since they are water soluble, this softens their effects, which is wonderful for a sensitive skin! If some of them contained willow bark extract, I would be delighted to try them! I do agree that products containing Salicylic Acid usually contain alcohol or other ingredients that may potentially be drying to the skin. If Salicylic Acid is derived naturally (ie: from Willow Bark) and incorporated into skin care products which are generally at low levels then this would be okay. It’s just that most medical skin care products contain Salicylic Acid at 2% (or even higher) which if used long-term can create dryness for certain skin types – also, the overusing of Salicylic like you said, is also a main cause of dryness. For the best results, a balanced acne regimen with moisturizing and soothing products is recommended along with salicylic acid products 🙂 This is why we love oils! Thanks for providing more information on Salicylic Acid for our readers. It’s very helpful and informative! so since sylicylic acid is also contain in kiwi and also a natural subsatance, wouldn’t not be a god idea to use the inside of the kiwi peel to put on the face? I had nearly a perfect complexion. I usually only used water and soap but decided to buy an exfoliating product from the store (it had salicylic acid). I used the product for awhile and my skin was discolored on my cheeks (I am African American), I had small bumps along the skin on my face, and my pores were HUGE! I was stressed because I was used to having nice skin. I then went out and bought a cleanser for sensitive skin and a moisturizer (which had salicylic acid.) My skin was getting better but I still had the bumps and some discoloration. I was just relieved my pores weren’t as noticeable. Then I realized that ever since I started using the first product my skin went haywire. I just couldn’t remember when my skin problems started. I looked at what was in them and saw salicylic acid and decided any acid can’t be good on my skin. So I took out the moisturizer and just use the cleanser and my skin is on the way back to normal. No bumps and barely any discoloration. I think salicylic acid helps some and hurts others. I’m 13 and I’ve been using coconut oil. It worked wonderfully and my acne had almost disappeared until about a week ago. I think I touched scratched it too much. I haven’t used stridex in a long time, but today my mom told me to. I did just a minute ago and it burns. My skin feels so vulnerable and dry right now. It’s dry and hurty and I can feel it getting flaky. I regret I even tried it again; but mom’s word is law… Ouch! It’s so discomforting. Is there anyway to undo its effects? I feel terrible for my 14 year old son as I have ruined his face by recommending a product with salicylic acid. His face Is dry and red raw from it. I’ve realised that this is the same as salicylites which he was extremely sensitive to as a toddler and we avoided many foods. How silly I feel! Can anyone recommend something to relieve the burning for him? I will be taking him to a dermatologist as many of you have recommended. I decided after my twentieth birthday that I really wanted to get rid of these blackheads on my face. They kind of blend in with my freckles, but I was still self-conscious about them. I tried a salicylic acid product and it gave me acne! I have not had acne since I was about 17 but this product brought it back! I stopped using it a month ago and I still have this horrible ugly acne on my skin. It is ruining my self confidence. I wash my face every day with a peppermint oil scrub (no acid or chemicals) that works great but this acne WILL NOT GO AWAY even AFTER STOPPING THE USE OF SALICYLIC ACID. I am so frustrated. I can’t afford to see a dermatologist and I can’t afford to waste money buying an additional product to remove the acne. I regret ever using this product in the first place. It has caused so many problems for me and is harming my self-confidence because now I have huge, puffy, red pimples all over my chin. I’m trying to break into a new field in academia and this is making me feel like a child. Salicylic Acid definitely dried my skin out and gave me thin skin, fine lines and wrinkles. Truly this product i do not recommend. I used the Young Solutions range which contains salicylic acid. It gave me a horrible rash in my face and my mild acne became almost septic looking. It was very disappointing and took long to fix. In future I will be checking my ingredient list more carefully. Strange thing is i noticed my skin color had become uneven but I had never thought the salicylic acid could be too blame for that too! Now I see it may very well have caused it. Thanks for the article. Also, one primary factor of acne is stress. It’s not about cleanliness or proper skin care, which is a misconception. It’s about stress, therefore these drastic topical solutions often prove useless. People say that “topical solutions” are in because those are supposedly more mild than internal ones / pills, but with my experience I can tell you that the antibiotic pills were 100% effective, time-efficient & did not do a dam thing to hurt me; whereas the topical solutions destroyed my face & made me like frankenstein. I only lucked out becasue I have two dermatologists in my family, who I was able to reunite with after living with foster guardians against my will who gave me ProActive, an unsuccessful, nonmedical treatment for me, when I plead with them saying I needed a dermatologist. You imply your guardians did not care for you and your proof is they did not take you to the dermatologist and get you on antibiotics. I care deeply about my son but I would never risk giving him antibiotics for this problem. I do not know your situation with those who cared for you, but if you research the negative effects of treating the problem with antibiotics, you will thank those who did not do this to you. I have an uncle who is currently being treated with ongoing antibiotic prescriptions and I can tell you that he is constantly in and out of the hospital with some very serious antibiotic-resistant infections. I am talking about something that cannot be controlled with medicine and the patient has to be put in isolation because of the fear of spread to other patients. It’s time the public takes acne seriously as a serious disease. It is not “NORMAL.” It is a serious condition that young people and people of all ages face. These children deserve proper medical care from a dermatologist. Never assume acne is normal, a passing phase, or that it can heal up on its own. Kids need a real dermatologist who can prescribe antibiotics when necessary, and it undoubtedly is when you have cystular nogular acne, the deep kind. People are so ignorant–they just neglect these kids because they think acne is a normal part of growing up, when it is serious & treatable. PS – By dermatologist I mean an MD who went to medical school to specialise in dermagology. A real dermatologist. I don’t mean Skin Care linic etc etc Polyclinic Group Health whatever. I don’t mean hipster doctor who specializes in “skin care” or has a “research interest” in dermatology. I mean a bona fide, private practice dermatologist who has both the knowledge (as a bona fide dermatologist) and the incentive (as a doctor in private practice) to treat his or her patients right. Yes, your post shall save the world. Many teens suffer bad self-esteem and social ostracization from acne, especially what I had cystular nogular acne. The general public does not understand how serious this condition is, and how it can easily be solved by any dermatologist—yes, I said a dermatologist, not your regular family provider. The answer to acne is ANTIBIOTICS. DO NOT GIVE TOPICAL SOLUTIONS to your children; these are acids that destroy the outer skin & in the deeper skin the scar-causing cysts keep on forming. Hence endless rawness, infection, pain, redness, tenderness, and scarring. Some of these washes like Proactive literally felt like sandpaper to my poor skin & I suffered for two years because my guardians were too cheap to take me to a proper dermatologist. Simply get an antibiotics prescription & you will be free of every affliction. Many poor teens out there are suffering becasue their uninformed parents or guardians are giving them cheap, nonmedical solutions such as acid face wipes, ProActive kits & Neutrogena washes. Get real & see a dermatologist if you love yourself or your loved one suffering from acne. Antibiotics are not always the solution though, I have had really bad acne for about 3 or 4 years now. Countless different types of antibiotics have been prescribed to me by several dermatologists and it either doesn’t work, or i get bad side-effects (they are really bad, I get so nauseous I can hardly move). I still haven’t found anything that works and I’m not willing to try The Pill or Acutane, but I have to agree 100% that it affects one’s self esteem and society has no idea how serious it is. Salicylic Acid works well for my back, neck, and chest areas but my facial area is extremely sensitive to products containing it. I mainly have to use benzoyl peroxide products such as Proactiv on sensitive facial areas. Using both separate from one another seems to work for me. Also, use a non-comedogenic moisturizer on areas that you use Salicylic Acid and SPF sunscreen if being exposed to sunlight. It’s all about balance and finding out what works for you. I do agree that a more natural organic approach would benefit the skin. I had bad acne as a teen and was told repeatedly by dermatologists to use washes with salicylic acid and it would only cause my face to dry out and be red exactly as you described and the creams they gave me wouldn’t stop this dry burning feeling I would have later. Thank you for sharing! Always happy to hear good experiences. Thank you for sharing.